Explain to your child about staying safe around water. 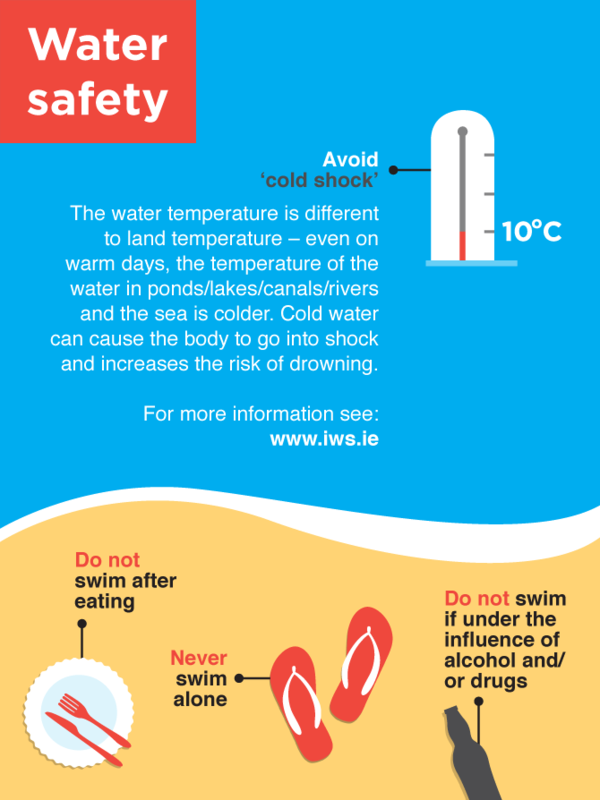 Here are some things to discuss about water safety. For more information visit www.iws.ie.